Editor’s note. Part One of Dr. O’Bannon story ran on Tuesday. He provided an extensive background to the history of chemical abortions and how abortionists have ignored protocols in a ceaseless effort to make more money off of chemical abortions (“RU-486”) and pave the way for Do-It-Yourself abortions. Dr. O’Bannon’s story appeared in the latest issue of National Right to Life News. I trust you are enjoying this 41-page edition and are sharing its contents with family and friends. While Winikoff and her associates have been trying to change laws and regulation, it has become increasingly apparent that the abortion industry and advocates see chemical abortion as the way to get around whatever laws exist now or in the future. Back in 2001, Rebecca Gomperts and Women on Waves anchored the “Abortion Ship” off the coast of Ireland, where abortion is illegal. They promised chemical abortions for those who made their way out to the boat in international waters. From 2009 to 2012 Gomperts went a different route in South America and other places around the globe. She set up hotlines in Chile, Argentina, Peru, Pakistan, and Venezuela where women could call to find out how to obtain and use misoprostol on their own to trigger their own abortions. Misoprostol can be used by itself to cause abortions, but is not as reliably “effective” (i.e., lethal the unborn child) as the mifepristone and misoprostol combination. It has the “advantage,” though, of being more widely available than mifepristone because misoprostol is a drug legitimately used as an anti-ulcer medication. A “womenonweb” internet site from Gomperts’ group surfaced around 2009. A woman would click “I need an abortion with pills” go through a series of question before being connected to a doctor to prescribe and ship her abortion pills to anywhere in the world – so long as abortion was not legal in that country (they apparently did not want to compete with suppliers in countries where abortion was already legal). The website also included instructions how a woman could write her own prescription and obtain misoprostol to abort. In 2017, women connected to Women on Waves joined with one of the academics who penned the aforementioned 2017 NEJM editorial to form a new group Women Help Women. They came with an accompanying website “helping” women who wanted to understand how to obtain and use abortion pills. Their service is geared towards American women who find their “access” threatened by state abortion limits and “hostile” new presidential administration (NRL News Today, 4/28/17). Once the U.S. approved RU-486 and more countries began approving mifepristone, drug makers all over the world began to try to manufacture and sell their own versions of the drug. Often they would hawk their abortion pill packets over the Internet. Though most of these rogue manufactures were from India or China, mifepristone-misoprostol packets were being sold under at least 62 different names from firms in a dozen countries as recently as 2014. As shady as that is, it doesn’t count the numbers of pills of misoprostol being sold on the black market, particularly among Hispanics in Central and South America, and Latino communities in the United States. When Texas passed a series of laws from 2012 to 2014 regulating clinics and redirecting state family planning funds to organizations that didn’t perform abortions, abortion advocates insisted that this led to the closure of several abortion clinics. (A decline in demand was likely a big part of that.) And this, they said, led to a rash of women taking matters into their own hands, seeking out abortion drugs on the black market. 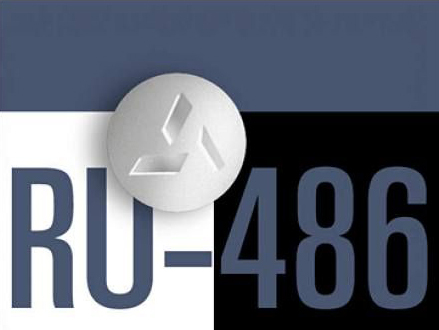 Again the not-so-subtle message of abortion advocates was that if pro-lifers used the law to close the clinics, women would just turn to pills they could get on their own. And what was also clear, from activists’ blogs and “analyses” published by academics, abortion advocates were going to help them do it. For example, Andrea Grimes wrote in her 3/15/15 Rewire.News commentary that “Sharing Information about Self-Inducing Abortions Made Me Feel Empowered.” She meant telling women how to use misoprostol to have abortions. Researchers such as Daniel Grossman of the University of California – San Francisco (UCSF – America’s so-called “Abortion Academy”) published research speculating that thousands of women had turned to misoprostol or other chemical concoctions to try and self abort. In other articles he wrote that with the right instruction, women could use misoprostol to safely abort on their own without a doctor’s help. The aim of all the activity, the research, the advocacy is becoming clearer. Abortion advocates see in chemical abortion a way around whatever legal, logistical, social or economic obstacles would stand in the way of a woman aborting her child. They no longer need worry about where they’re going to find abortionists for tomorrow’s abortions. If going to the clinic is too expensive, too far, too embarrassing, if the clinic is closed, if somehow, some way, someday abortion becomes illegal, women can simply order their pills online and have them delivered to their home in what looks for all practical purposes like just another package from an online e-tailer. They have their abortions at home and supposedly no one is the wiser. If they have problems, they just show up at the Emergency Room and tell the doctor they’re having a miscarriage. It doesn’t go in the records as an induced abortion, but abortion advocates, and presumably the woman, get what they want – a dead baby. Bear in mind the number of women turning to do-it-yourself abortions is grossly exaggerated and it is not legal to sell abortion pills over the Internet in the United States. Some women who find their local abortions clinics closed eventually go on to have their abortions elsewhere. But studies tell us that some women will decide to forego their abortions, allowing their babies to be born. Measures like National Right to Life’s “physician presence” laws forestall the possibility of legal web-cam abortions, mail order abortions, and abortions with on-line purchased pills. The use of chemical abortifacients is growing, though maybe not as quickly as anticipated. Women have found them much bloodier and considerably more painful than advertised. Some women, coming to better realize what is really involved, have changed their minds and have successfully “reversed” their chemical abortions, giving birth to healthy, happy children. It will be critical for the FDA to resist pressure from abortion advocates to further loosen distribution regulations, that they not approve sales by pharmacies or delivery by mail. Laws requiring that an actual physician be present when a woman receives her pills are not only essential for her safety, but to ensure that we do not go further down this road to medical and personal abandonment of women at this critical stage of her ordeal. Ultimately, of course, we have to convince the wider culture that no abortion–chemical, surgical, or otherwise–will “solve” a woman’s problems. It will not fix her relationship, it will not get her a job or a degree, it will not raise her income, it will not bring her fulfillment. There are life-affirming solutions which offer life to both the mother and her unborn child. These, not expediting abortions, are what our culture should be promoting.